I've been thinking about making my own happiness for awhile now. It's so very easy to get caught up in the I wants, the I wishes, the I am so picked-ons or even...I'll be happy when THIS or THAT happens. There are a variety of DIY posts, tutorials and helps out there tumbling around cyberspace and it got me thinking that happiness should be approached in the same way...Do It Yourself. No one else can make you happy. No thing can make you happy. No achievement, piece of furniture, fabulous shoes, diet, fad, friend, dessert or test score can give you lasting happiness. That only comes with a determination from within. To expound a bit... giving myself a pep talk about my strengths (and not mentioning my weaknesses), makes me feel better... for obvious reasons. Prioritizing my life and choosing the best things over even the good things, helps me not feel overwhelmed and stressed. Exercising and eating right are a huge mental pat on the back and make me feel good physically as well. And I always, ALWAYS feel better when I help someone else. When I am feeling sorry for myself, (more times than not) I realize it's because I've primarily been thinking about numero uno. I also love looking forward to vacations, getaways, parties or get-togethers. That little scheduled date nestles in the back of my mind leaving me with happy thoughts all the way until the actual event happens. Conquering or learning some new challenge or another, is always a rush to me. I love learning new things, such as creating a new craft/photograph/project/meal etc. It is very satisfying to stand back and say, "I made that!" 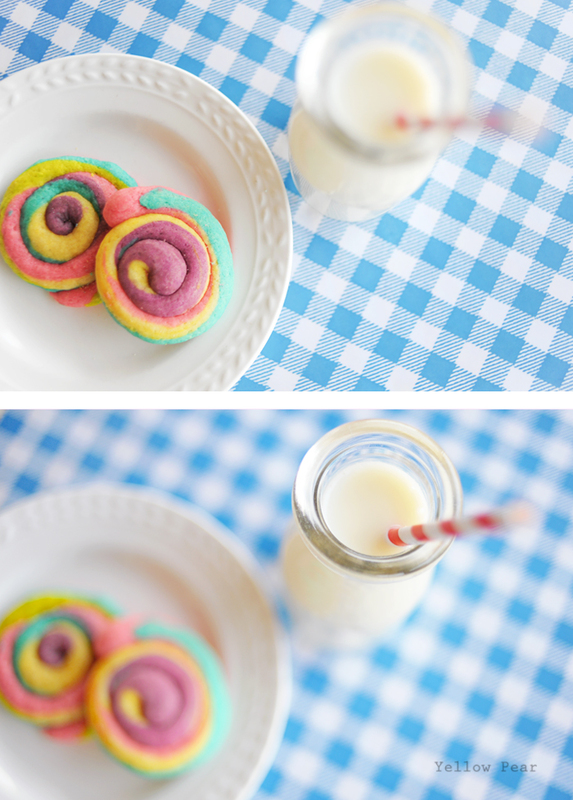 Finding joy in simple things like making fantastically colorful cookies with the kids and having an impromptu picnic on the back porch, always ALWAYS bring peace and happiness back to my life. And one of the most important happiness inducers for me, is to remind myself that there is joy and perfection every day...even on the most frazzled, hideous of days. I just have to look for them and that means engaging and unplugging once in awhile. On the flip side, there is rarely an exquisitely perfect day where every moment is infused with utter happiness. It is the perfect snapshots that I treasure. Like the little boy that snuggles up to me, strokes my face and whispers how wonderful I am. And the brothers jabbering together about magical candy and unseen foes and pretend journeys for hours. Or the sister that spends hours making felt finger puppets for her little brother and the husband that goes grocery shopping for me when he knows I need it the most. Those are the moments...the perfect happiness. And yes they are moments and they are fleeting and the very next moment the car will break down or the toilet will clog or someone will be stomping up the stairs or hitting someone else or refusing to eat dinner or tattling/spitting/disobeying or making a mess. But...if I string those perfect moments all together, I have a happiness garland to surround myself in. And that is what I live for. And for one more DIY Happiness tip, I shall quote my very wise mother who is often heard saying, "Go get some sun on your head!" I needed this today. Thanks Erika! Love the cookies, love the pep talk! I got some sun on my head today and it did wonders!